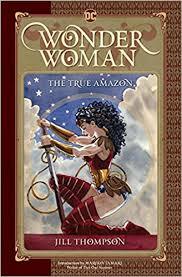 by Jill Thompson A Princess Diana unlike any we’ve seen before. As a child, she is spoiled and free to exert her will without restraint — until her selfishness leads to tragic results. Before she can become a hero, she will first have to find redemption. by Jason Shiga No matter how hard he tries, Jimmy Yee cannot die. A noose around his neck, a razor across his wrist, and even a bullet to his head all yield the same results: he awakes from each suicide attempt, miraculously unharmed, in his shabby room at the Sunbeam Motel. Has he gone mad? Or has he truly died and found himself in hell? Jimmy is willing to tear the world down around him to get at the truth. 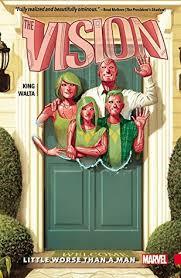 by Tom King, Gabriel Walta The Vision wants to be human, and what’s more human than family? So he heads back to the laboratory where Ultron created him and molded him into a weapon. There, he builds them. They look like him. They have his powers. What could possibly go wrong? 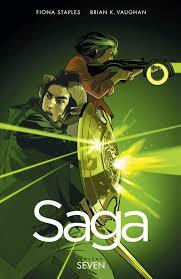 by Brian K. Vaughan, Fiona Staples When two soldiers from opposite sides of a never-ending galactic war fall in love, they risk everything to bring a fragile new life into a dangerous old universe. by Moebius Stel and Atan are interstellar repairmen searching for a lost space station and its crew. 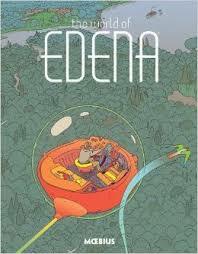 Their journey takes them to the mythical paradise planet Edena where they unwittingly and unwillingly join a multidimensional battle between good and evil. 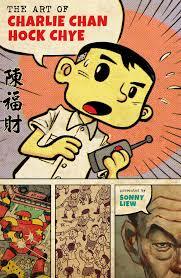 by Sonny Liew Meet Charlie Chan Hock Chye. Now in his early 70s as he looks back on his career, Chan has spent a lifetime making comics in his native Singapore since he was a boy of 16, in 1954. The artist doubles here as both the narrator and the subject matter, as his life story parallels the changes in Singapore over five decades since the war. 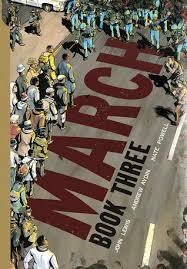 by John Lewis, Andrew Aydin, Nate Powell Welcome to the stunning conclusion of the award-winning and best-selling MARCH trilogy. Congressman John Lewis, an American icon and one of the key figures of the civil rights movement, joins co-writer Andrew Aydin and artist Nate Powell to bring the lessons of history to vivid life for a new generation, urgently relevant for today’s world. 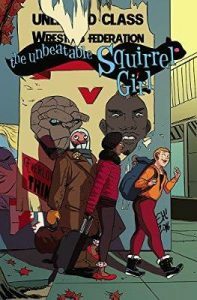 by Ryan North and Erica Henderson On a trip to Canada to visit her mom, Doreen teams up with Ant-Man when the Taskmaster strikes, but it turns out to be Mew, Nancy’s cat, who saves the day. by Chip Zdarsky, Erica Henderson Riverdale High prides itself on providing a quality education. 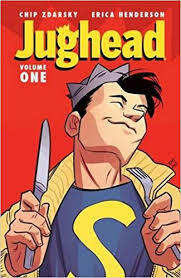 But to Jughead Jones, what matters most is meal time–and Riverdale delivers solid midday chow. But when that sacred time is tampered with by a hot-headed new principal, Jughead swears vengeance! Can the burger-loving beanpole curry enough favor (see what we did there?) to rollback the cuisine catastrophe? 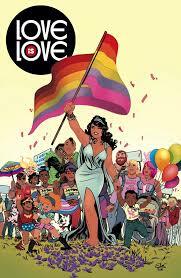 edited by Sarah Gaydos and Jamie S. Rich The comic book industry comes together to support the survivors and honor those killed at the Pulse nightclub in Orlando, Florida, on June 12, 2016. Writers and artists from across the globe have created exclusive new material expressing their sorrow, compassion, frustration, and hope, all inspired by the tragic events. 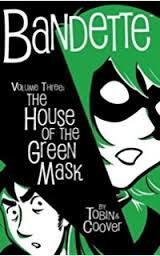 by Paul Tobin, Colleen Coover Bandette, greatest thief in all the lands, uncovers the greatest of all mysteries! A clue to the location of the legendary House of the Green Mask! But the sinister Voice is after the same treasure, and sent a deadly assassin after the same secrets! Worse, he’s stolen the dearest thing to Bandette’s heart. Now, she’s after revenge!